Character in this 2 story beauty!! 3 Beds 2 Baths 1,179 Sq. 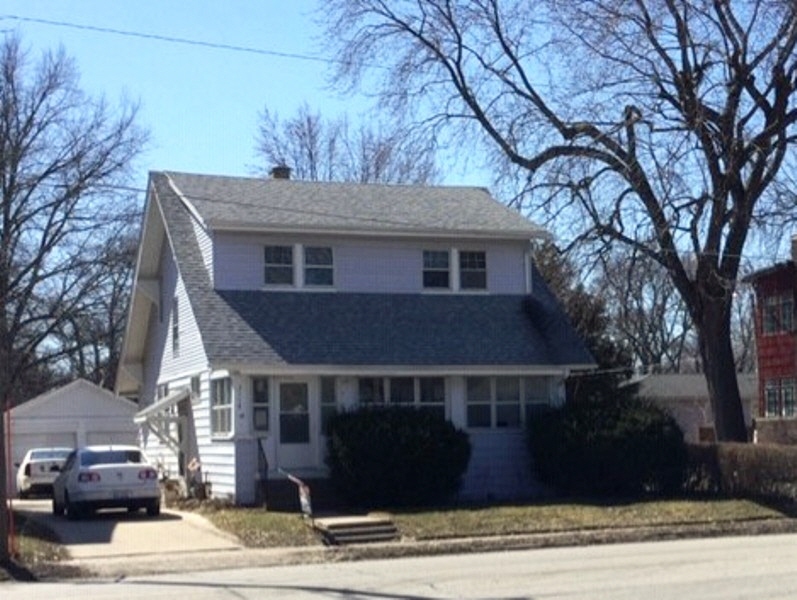 ft.
Charming home with wood interior trim and oak floors! You'll love the enclosed front porch! Step into the bright living room with oak floors and an open staircase. French doors open to the 4 season room or office! Refinished oak floored formal dining room too! Eat-in kitchen has quartz counter tops, gas stove and dishwasher and pantry plus a cute exposed brick wall! Upper level has a built-in linen cabinet or pantry with a full bath and 3 bedrooms. The basement has a 3/4 bath and a workshop. Plus a 2 car garage and partially fenced yard! New driveway 2012, garage roof 2006, house roof 2012, freshly painted exterior 2013, updated copper plumbing 2014, H20 1997, furnace 2011, and A/C 2007. Seller related to listing agent.